Robert L. Mauck, PhD is the Mary Black Ralston Professor of Education and Research in Orthopaedic Surgery and Professor of Bioengineering at the University of Pennsylvania. 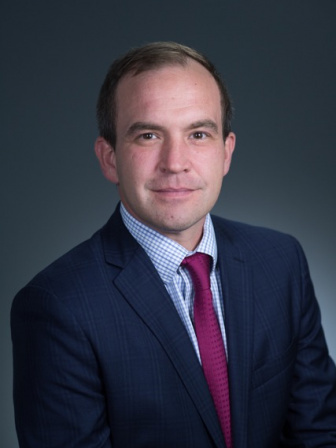 He is also the Director of the McKay Orthopaedic Research Laboratory at the University of Pennsylvania and Co-Director of the Translational Musculoskeletal Research Center at the Philadelphia VA Medical Center. His research program is focused on the engineering and mechanobiology of musculoskeletal tissues, with a particular interest in restoring articular cartilage, the knee meniscus, and the intervertebral disc. Dr. Maucks team uses mechanical and molecular analyses to define native tissue structure function relationships, and employs this information to enhance the functional properties of engineered constructs through focused technology development. His work also explores progenitor cell function and efficacy in a variety of biomaterial contexts and across multiple length scales, from subcellular biophysical properties to translation of engineered constructs in large animal models.